Besides talking to myself through my workouts, the other biggest fitness challenge is consistently getting cute workout clothes. Sounds like you too, right? I’m here to get my fly girls looking like a snack when working out. I don't smoke anymore because I have a grown up job where other's safety is my priority but back in my heyday, I was all for it. And by heyday, I mean, last year when I went to Denver for my birthday and enjoyed a solo cannabis tour. You can read about it here. If you do indulge, this event looks lit! It's a two part event brought to you by 8th Flower Events. Enhance your Yoga experience with CBD; the second most prominent compound in cannabis. 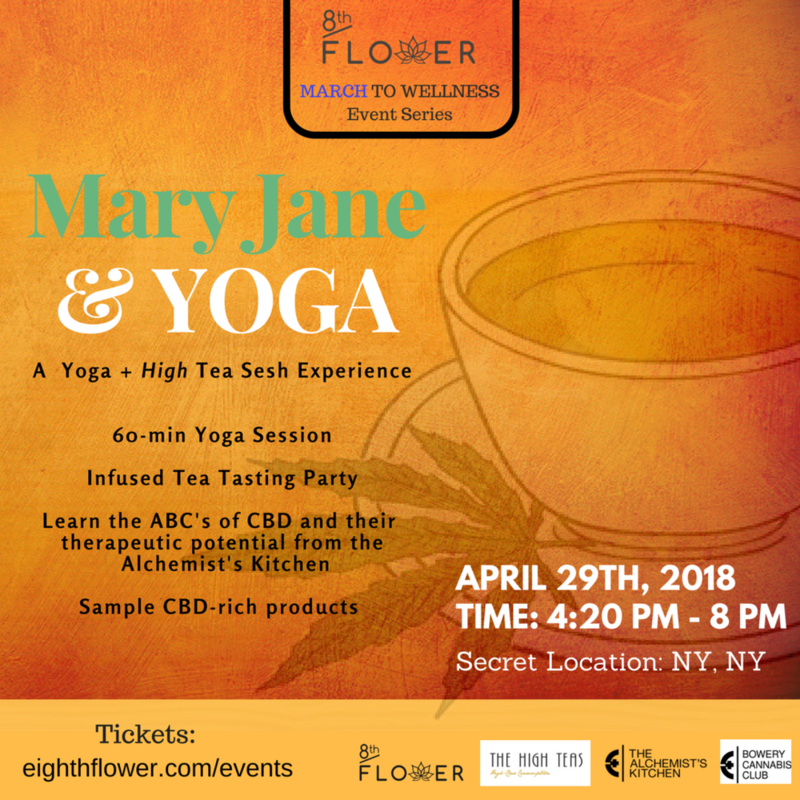 Come learn about CBD products and its health benefits from the Alchemist 's Kitchen with a sampling of CBD oil to be incorporated in our 60-minute Gentle Flow Yoga + Mediation session. All levels welcomed including men. Check-In and yoga mat set up starts at 4:00 PM . Yoga session will begin at 4:20 PM. In celebration with the month of 420 festivities this yoga session will be followed by a social sesh mixer - tea, food & music. This experience will involve sampling a variety of infused teas, hot and cold to get you into the high tea vibe. Guests are highly encouraged to bring and consume their own Flower. You will receive an email providing the address 24 hours before the event.